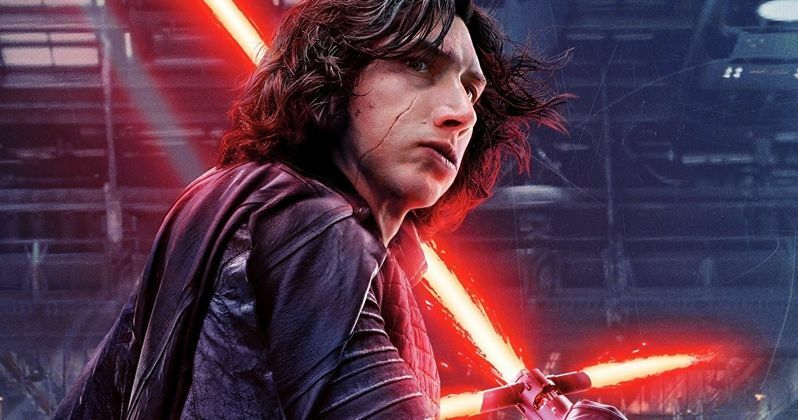 Will Star Wars 9 Give Us the Kylo Ren Twist We're Least Expecting? In terms of Star Wars and its own insulated folklore, what is The Beyond? Many associate the word with the afterlife. But, like The Force, it sounds like the definition is being redefined for the Star Wars universe. A new rumor has leaked from under the door of Lucasfilm and is soaking quietly into the carpet. It claims that Kylo Ren is heading for The Beyond in Star Wars 9. So what exactly does that mean? There have long been rumors and much speculation that Kylo Ren will have to be sacrificed to balance the Force. Whether he does that himself or at the hands of another Jedi, perhaps Luke or even Rey, is not yet known. But in terms of heading into The Beyond, the reference perhaps isn't meant to signify his death. As set up in the continuing Star Wars universe, this could be something more sinister or supernatural. The Beyond could also be where Force Ghosts reside when they aren't materialized in the real world. Which is an interesting concept. As seen in The Last Jedi, Yoda appears out of nowhere to burn down the giant Jedi tree and converse with Luke Skywalker. He had to be somewhere else that entire time. If Kylo Ren finds a pathway into The Beyond, where Jedi spirts dwell in their off time, it could open an avenue to have Luke Skywalker become a bigger part of the story. And who's to say this isn't some kind of galactic heaven where all good souls go? Perhaps only Jedi have leaned how to materialize themselves in the real world. This could lead to a Han Solo reunion on the other side. There is also the Acolytes of the Beyond, which offers a different concept of the word. They are described as such. "A group of dark side fanatics who existed during the Galactic Civil War. After the death of Darth Vader during the Battle of Endor, the Acolytes of the Beyond purchased what they believed was the fallen Dark Lord of the Sith's lightsaber, intending to return it to him in death. Two months after purchasing the lightsaber, the Acolytes staged a revolution in Coronet City on Corellia. Prior to the Battle of Jakku, Acolyte cells throughout the galaxy launched a series of coordinated attacks against New Republic enclaves and outposts on various worlds including Devaron." Let's not get ahead of ourselves. Many have speculated that Force Ghost Luke will have learned how to make himself solid in the reality being experienced by all the living creatures in this universe. Many forget that Yoda was actually made of solid matter when he visited Luke on Ahch-To. Or at least, his Shillelagh was. Yoda very clearly bonks Luke Skywalker on the head with his old timey walking stick. It makes contact. So it must be made of solid matter, right? Like it or not, director Rian Johnson has actually opened the door for Luke Skywalker to be made of solid matter in Star Wars 9. Moving past that, the latest rumors claim that a threat from The Beyond will reveal itself, and the man formerly known as Ben Solo will be made quite vulnerable. The threat will cause Kylo to reach out to Rey, and will give them a reason to keep communicating on somewhat friendly terms, as they are supposedly the only ones, working together, who can stop this new threat. Fan speculation is pointing to the Expanded Universe lore, specifically Yuuzhan Vong. The new info claims that the Knights of Ren have returned from The Beyond, and their reemergence is extremely important. The latest leaked info goes onto claim that new Red Stormtroopers, which were discussed in a previous leak, are actually Sith Stormtroopers, and they somehow tie into all this business. It is said that they are called 'Sith' troopers because when the story picks back up, Kylo will now be a Sith Lord, with Star Wars 9 experiencing a time jump from The Last Jedi, which is said to be a year or more since we last saw the Resistance speeding away in the Millennium Falcon. Apparently, if we're to believe this latest intel, the Sith Troopers only respond to Ben and his Knights of Ren. Kylo now has his own private armies and militia under the First Order banner. It's also believed that worlds with their own defense systems have aligned with The First Order, and that the battles will be off the charts and unlike anything ever seen in a Star Wars movie. So the Resistance won't just be seen fighting off white Stormtroopers as in previous movies. The speculation is that Kylo Ren is assembling the galaxy's largest force ever seen, and he plans to dominate the Star Wars universe with an iron fist. Or is he too much of a whiney brat for that? The originating rumor claims that the threat coming from The Beyond will actually spark a transition in Ren, one that reunites him with Rey and could mend his family issues, bringing him back to the light. Even though Luke believed this to be impossible. This news comes from Making Star Wars. They speculate that one of the Knights of Ren is actually second in power, and will attempt to overthrow Kylo Ren, killing him and replacing him as the Supreme Leader, with sour cream, Guac and all (sorry, sometimes we have to throw in food references to keep certain pro artists' minds from wondering into the kitchen). While some of this is speculation, the dots are being connected by real rumors from legit sources. How any of this will pan out won't actually be revealed until Star Wars 9 is in cinemas. But perhaps we'll see some hints in the first trailer this April?